Residence Balduina is a three star residence located in the north-west area of the city, in the district of Balduina, an elegant quarter of Rome, 20 minutes driving / 15 minutes walk from the historic centre of Rome and Vatican City. Residence Balduina consists of three buildings surrounding a beautiful well kept garden. Residence Balduina houses ninety fully-furnished apartments with fully equipped kitchen units, colour TV, direct telephone, and ensuite bathroom. The apartments consist of studios and one-bedroom apartments ranging in size and decor. There are various types of studios and one bedroom apartments from type ‘A’ to type ‘E’ and are categorized by size. All apartments have a remote control colour television and direct dial telephone. All studios/apartments can be furnished with either a double bed or two single beds according to the clients’ requirements. Studios sleep up to 2 and vary in size from type ‘A’ (15/18 sq.m. ), which is a double room with kitchen corner and ensuite facilities, to type ‘D’ which are spacious studios with living room corner, kitchenette and ensuite bathrooms. STUDIO “A” 15-18 sq. 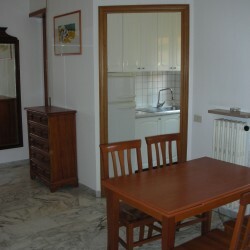 metres, bedroom with kitchenette and a private bathroom. 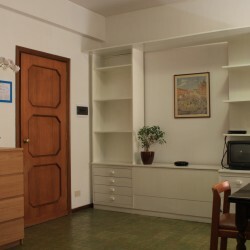 STUDIO “B” 20-25 sq. 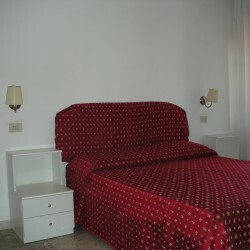 metres, bedroom for two with kitchen corner and a private bathroom. STUDIO “C” 25-28 sq. 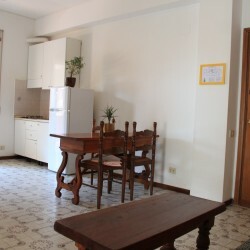 metres, bedroom for two with kitchen corner and a private bathroom. STUDIO “D” 30-35 SQ. METERS, bedroom for two, small living room, kitchen corner and private bathroom. One-Bedroom Apartments sleep up to 3/4 and compose of a living room with sofa bed and kitchenette, bedroom and bathroom. APT. “A” 36 sq.metres, bedroom for two, small living room with sofa bed and kitchen corner, private bathroom. APT. 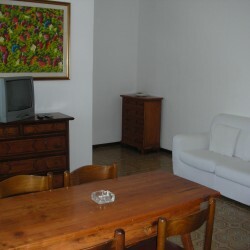 “B” 40 sq.metres, bedroom for two, living room with sofa bed, kitchen corner and privare bathroom. APT. 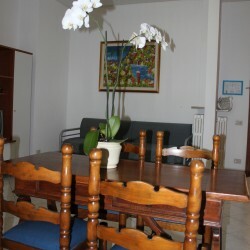 “C” 43 sq.metres, bedroom for two, spacious living room with sofa bed, kitchen corner and private bathroom. APT. “D” 45 sq.meters, bedroom for two, spacious living room with sofa bed, kitchen corner and private bathroom.